Employees are deprived of better health because of the work pressure, which subsequently hampers the company’s growth. 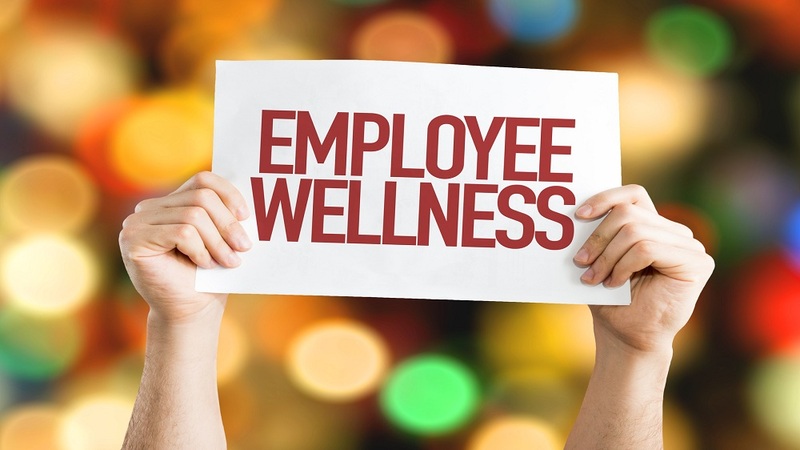 Here’s how one can ensure employee wellness in order to boost their business growth. A company becomes successful when all its employees work passionately to contribute their best in order to achieve company’s goals. But how much importance is been given by the big players in the market when it comes to the wellness of their employees? According to recent studies, top five symptoms causing missed work days are constant fatigue (29%), sleeplessness (26%), aches and pains (24%), high anxiety (23%) and weight gain (18%). This shows how much the employees are deprived of better health and how it subsequently hampers the company’s growth. Here’s how one can ensure employee wellness in order to boost their business growth. In most of the companies, the minimum work hours are of 9 hours. Most of the employees have to sit on their chairs for this long duration of time. It’s essential to provide the employees with proper break time of at least 1 hour. Some companies have even done it mandatory for the employees to take a break as employees often skip the lunch time due to the pressure of work. Overall health of employees is the essentially important in order to lessen the days of absence of employees. Many companies offer products from traditional low-quality vending machines such as carbonated beverages and deep fried chips. These products seriously impact the health of employees in the long run. Providing them healthy and nutritional snacks can be a good way to take care of their nutritional values and ensuring the better productivity. Organizing team outings every alternate week is a good idea to create bond with the team as a whole. Going out for lunch, organizing sports events, out-of-town trips etc, help in refreshing the moods of the employees and helps in creating a good-will of the company as well. Hence, the employees will be more passionate about working. Due to the constant pressure of work, employees are becoming more and more stressed. Studies reveal that stressful jobs might lower life expectancy rate. To bring down the stress levels of the employees, guided meditation classes can be organized on regular basis. Meditation is considered to be helpful to reduce stress and hence ensures better mental health of the employees. In this fast-paced world, people are getting caught by lifestyle diseases such as diabetes, high blood-pressure, cardiovascular diseases and stress. Another issue that gets ignored by the masses is obesity. For employees, there shall be the facilities for yoga or gym studios, that too free of cost. This will ensure the better health of the employees and hence will add to the productivity of the company.